Harry Styles has been sending fans into frenzies since his days in One Direction, and that hasn't changed now that he's become a solo star. While performing at London's Hammersmith Apollo on tour earlier this week (October 30), fans interpreted his songs a little too literally — pelting the stage with actual kiwis and demanding he perform "Kiwi" from his self-titled album multiple times during the set. Unfortunately for Styles, he stumbled over a piece of the stray fruit and the incident was totally captured on social media. It's even got to the point where Styles had to ask fans not to bring fruit to the shows anymore — but so far, it hasn't seemed to deter them. 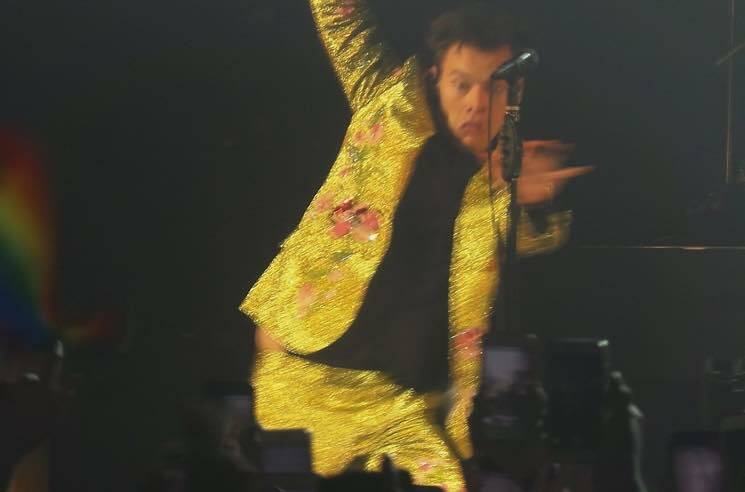 Check out photos and clips of the awkward kiwi accident below, and find Styles' remaining live dates here. Uh guys we've all witnessed @Harry_Styles issue with gravity. Don't add to it with kiwis. He bruises like a peach, the poor thing.